Sphinx and the Cursed Mummy might be a title that rings a bell. As it should! This classic title has first been released in 2003. Back when the PlayStation 2, Xbox Classic and Gamecube where the awesome consoles you could have. 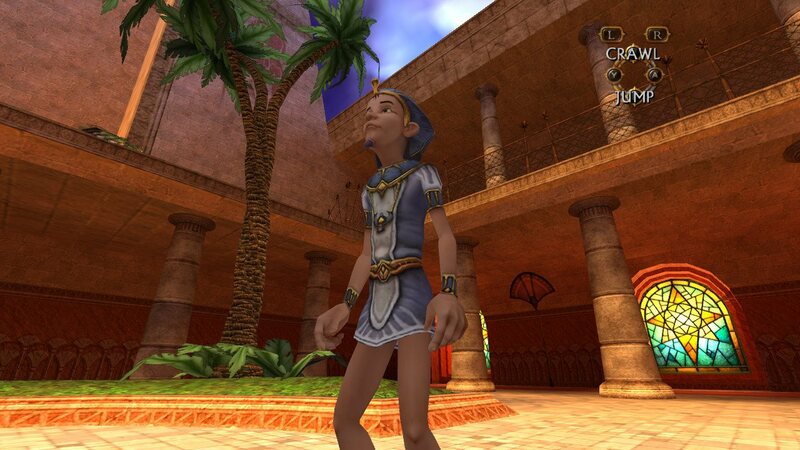 Beloved as Sphinx was, it got a graphics overhaul and a re-release for the PC in 2017, and now it is also added to the ever-growing insane list of games that are out for the Switch! It’s like developers and fans alike want all their best memories playable on Nintendo’s bestselling machine. You could definitely say this is a story-driven adventure game, and you notice that in everything. A large world full of mystery and characters, a lot to discover. They did not spare any expenses for cutscenes in this game, and even during the gameplay itself, you will be bombarded with information and short cutscenes that show you what’s going on around you. Luckily, the information that’s given is easily graspable, making it an acceptable story of high quality for all ages. In Sphinx and the Cursed Mummy, you will follow two characters: Sphinx, who could be seen as the main protagonist and who is set out to be a sword-wielding hero, and Tutankhamen, the second protagonist who actually is the Cursed Mummy mentioned in the title. Tutankhamen, at first still a royal prince, is undergoing some serious problems that not only turn him into an undead creature but that possibly threaten the world. Sphinx is being guided by Imhotep, who serves as the wise old counselor in this story, to solve those problems and possibly save the world. The game starts out when Sphinx and his equal, named Horus, are both given the task to find the sword of Osiris so they can fight back evil. However, a lot goes wrong fast, and the story of darkness, heroism, and betrayal quickly unfolds itself. Wow! No, really. Normally, a remaster or a re-release can seem a bit lazy and not as good as expected when looking at how much better the graphical quality became. In Sphinx and the Cursed Mummy for Nintendo Switch, however, this is definitely not the case! When played as a handheld, this game looks tight enough to actually fit in the current years of gaming, which is quite a feat considering it’s been around since 2003. The sharpness of the textures are great, but the animations are worth the quality of an animated movie, without losing that signature feeling you get from similar action-adventure games from the past such as The Legend of Zelda: Ocarina of Time, Banjo-Kazooie, Psychonauts, and others! Not only that but the colorful environments and the depth that’s been built up in every bit of level design gives you enough to lose yourself in the beautiful world that Sphinx created. It’s safe to be said that the specific sound made for this entire experience is just as interesting. It’s of high enough quality to fit some famous Disney cartoons, which is also coherent with the graphics. It complements the game’s story-driven nature with cinematic music that reflects the environment or mysteries of what’s around you, and though the characters have no voice-over sounds, the small sounds some of them make combined with the visuals make it so you can almost hear them. Any other sounds you hear are also of high quality, and it can simply not be looked (or listened) down upon. 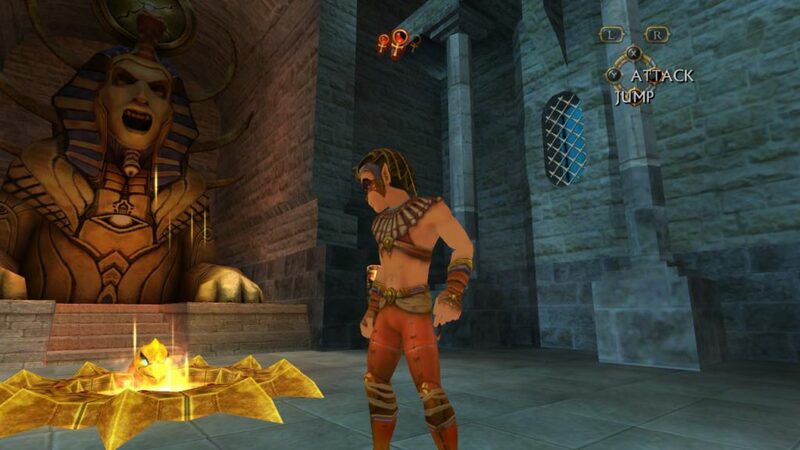 Sphinx and the Cursed Mummy contains many bits and pieces of gameplay genres. You will sometimes find yourself sneaking, or puzzling, but mostly you will follow a combination of action and adventure platforming. 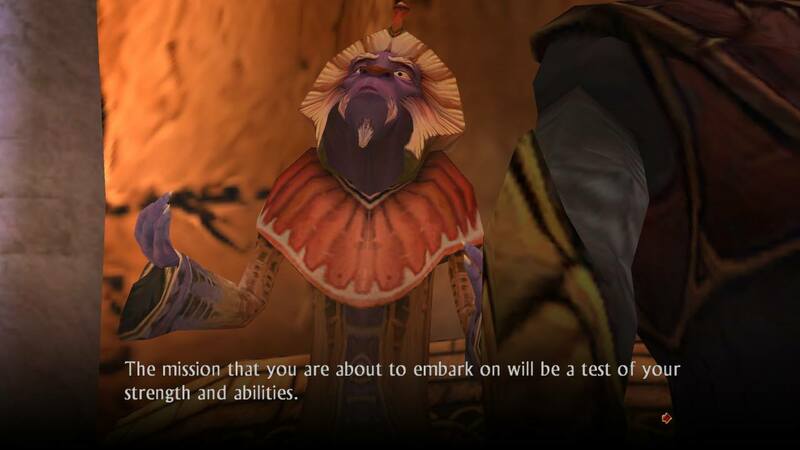 The game does its best to mix it up every now and then, and though you will probably spend the most time playing as Sphinx, who is the more action-heavy character, it alternates between him and Tutankhamen. When switched to Tutankhamen for a determined period of time, you will rely more on your puzzle skills and wits. Both characters still largely share the same core gameplay mechanics though, so you will just notice small differences in skills and styles. There is a lot to be done in this game, even though you follow a chronological timeline and pretty straight-forward route. There simply are a lot of things to distract you. A side-mission, treasure hunting, even some type of Pokémon collection where you can capture your enemies. Mini-games will be found at some point, and from all the named content some will be easy for you and some will be (very) challenging. All of this is another good reason why this title can be fun for all ages. Most of the time though, you will find yourself trying to either solve a puzzle or smashing some enemies to get to the next part of your route. You will quickly get skill upgrades that not only make the game a bit more fun but also probably trigger your memory about previously unreachable zones that can now be reached with say, a double jump. Other skills such as fighting consist of pretty much one basic combo that gets more options such a mid-air slash as you go along. This sounds like a very minimal amount, but since all the bits of gameplay are combined in Sphinx, it’s not a bother at all. There is one bigger bother though, or maybe two, especially when playing challenging parts. Something that hasn’t aged well, on the contrary to the story, overhauled graphics, sounds, and the general gameplay. The camera is doing fine in general, but there are stressful times during the game where it cannot make up its mind. This can cause you to fail and try something over easily, adding enormous amounts of frustration when parts are being tough. It changes between a fixed position and allowing you to control it, sometimes not allowing you to turn the camera any further making your view get stuck in a wall. These leaps of faith are unreasonable and something that happened more often in older games. Clearly, this hasn’t really been updated. The same goes for the platforming action, where some slopes or hitboxes just don’t feel that right. Especially since an autosave function is lacking, if you didn’t save your game, you might have lost a lot of progress. 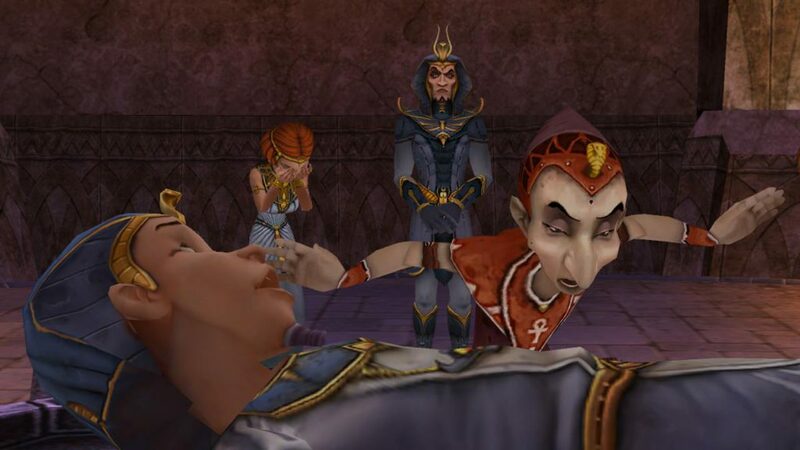 Sphinx and the Cursed Mummy is a game that, putting aside the ”old game problems” such as a buggy camera that occasionally pops up, passed the test of time with flying colors. Especially on the Switch, it’s a great game to play anywhere, and if you never played it and are longing for some nostalgia, this might be the perfect time to pick it up. With its broad focus of gameplay, loads of story, alluring graphics and nice sounds, it’s a title to be proud of.